Social media is a great tool for sharing your message with diverse audiences across multiple platforms. 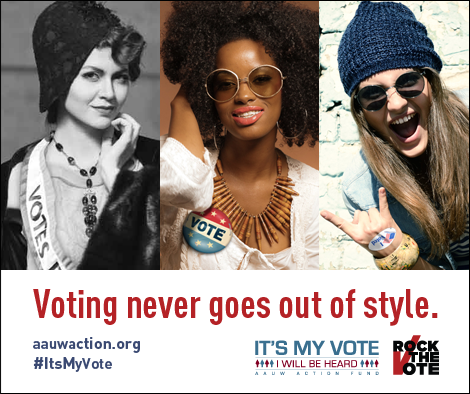 With a well-crafted tweet or Facebook post, you can raise awareness about AAUW issues and spotlight your get-out-the-vote efforts. 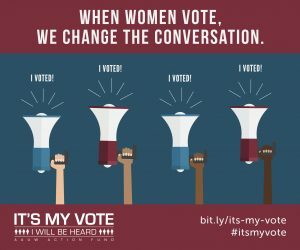 Use this handy guide to craft successful social media campaigns that get women registered to vote and ready for the polls in November! Questions about social media advocacy? 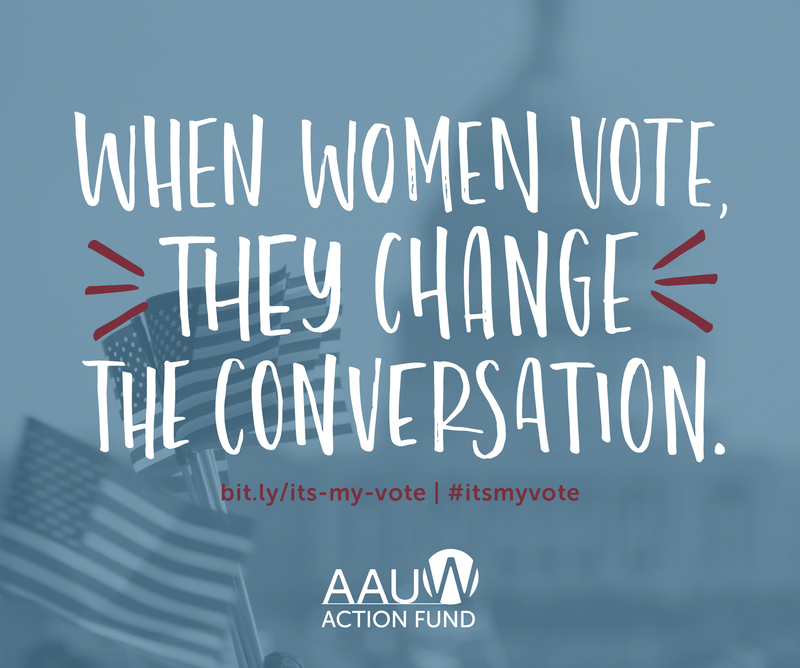 Email us at votered@aauw.org. We’re here to help! Use the right hashtags. 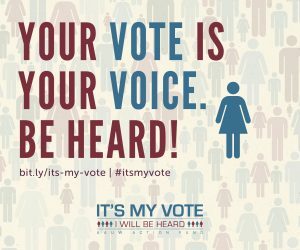 Include relevant hashtags like #ItsMyVote, #Election2018, and #GOTV in all your social media posts for greater visibility. Take it a step further and localize your hashtag — many states, counties, and districts have their own election-related hashtags (for example, maybe it’s #IowaVotes or #DCVotes). Research which election-related hashtags are popular in your area so that you can be a part of the existing conversation. Use photos. Tweets with photos perform five times better than those without, and good photos are priceless on Facebook. Bring your phone and snap photos from a voter registration event or candidate forum. Be sure to send us your photos so that we can help celebrate your efforts. 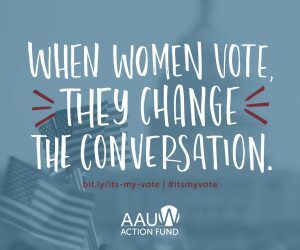 E-mail us at votered@aauw.org. Tag @AAUW. We want to help publicize your work! Tag AAUW’s social media handles in all your posts so that we can share your content and recognize your hard work. Make sure to follow AAUW on the following social sites. Learn more tips from our social media 101 guide. Twitter can be an effective way to share AAUW’s resources to educate and encourage eligible voters. Copy and paste the sample tweets below, and add the relevant handles and hashtags where necessary. Our shareable images are a fun and easy way to increase engagement and traffic to your account. Include one in your Facebook post or tweet along with relevant messaging and hashtags. Download images to share on social media. Download our Facebook cover photo for your branch’s Facebook page. Snap a Photo, Get Out the Vote! 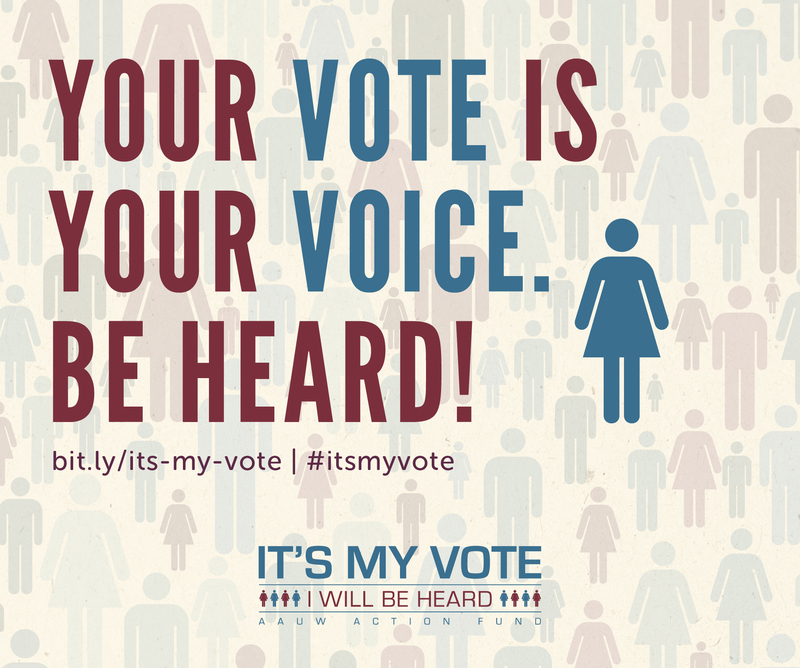 Are you ready to get out the vote on campus or in your community? 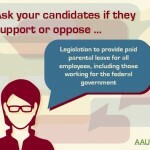 A photo campaign is one of the easiest and most creative ways you can spread the word about all of AAUW’s issues. It’s also a great way to recruit AAUW members and supporters. From equal pay to reproductive justice, there are lots of important topics to cover. Ask people to share what issues matter most to them and why they’re voting. 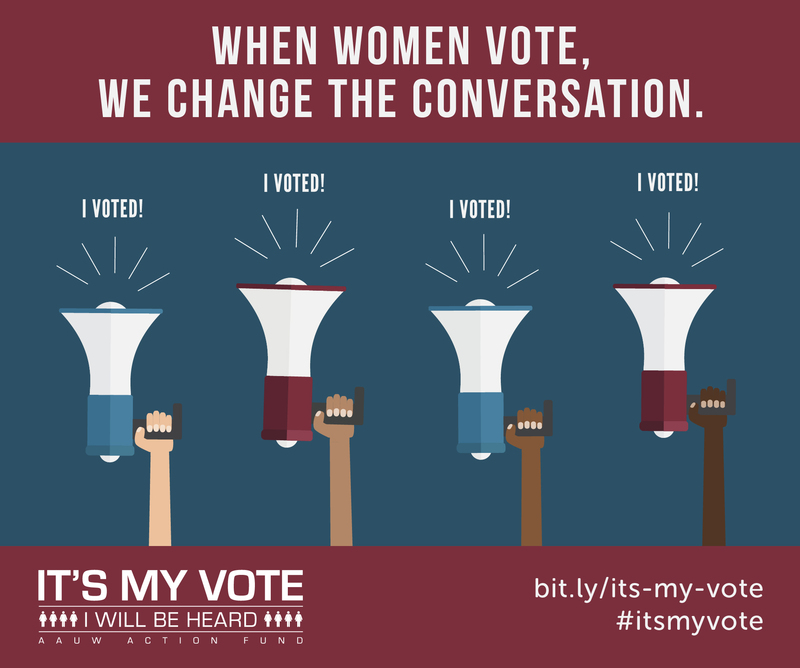 The #ItsMyVote PDFs are a great resource to help AAUW student affiliates and AAUW members get out the vote. 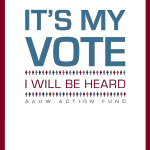 Fill out this form to let us know about your get-out-the-vote efforts. Your feedback helps us highlight events in AAUW publications and showcase AAUW’s nationwide reach. 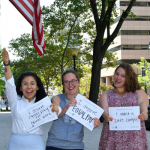 For pressing races across the country, the AAUW Action Fund voter guides provide nonpartisan information about candidates’ positions on issues like equal pay, education, campaign finance, and reproductive rights. Get concise information about key policy issues to help you prepare for the election and educate voters. 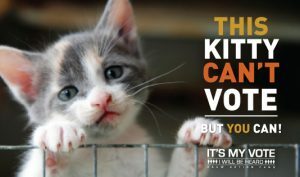 A photo campaign is one of the easiest and most creative ways you can spread the word about all of AAUW’s issues.